Before I began my personal challenge of eating no fast food, a co-worker gave me two coupons for free smoothies from McDonald's. For whatever reason, the employees are terrible about asking or taking these coupons for us and we got several free smoothies. One co-worker gave us a jar of apple butter and another co-worker gave us a jar of dry roasted peanuts. I have quite the reputation at work for being frugal, so they ask me if I want something before they just toss it. Jason tutored a few times. Some of the money went toward items we needed and the rest went into our baby fund. He also completed a few mystery shopping assignments. We used money from our grocery budget to eat out together as a family for these assignments. When he is paid, the money will go right into our baby fund. We received a Subscribe and Save order from amazon.com and one other order. 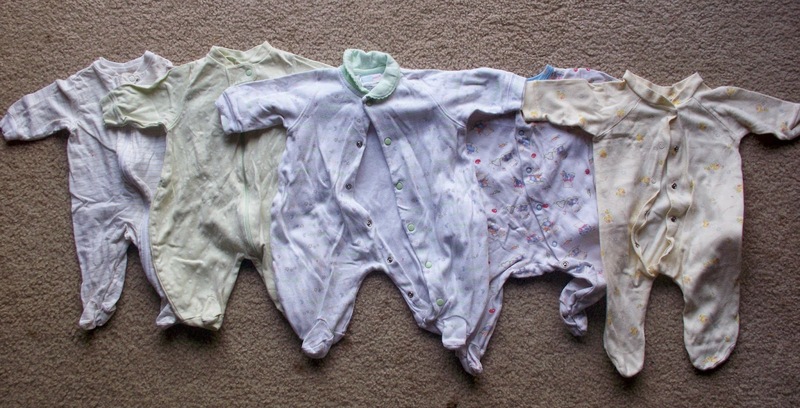 The orders included: a baby electric toothbrush, facial cleanser, a big package of paper diapers, organic lollipops and a 10-pack of vacuum bags. The total retail value of the items was $72.55. I used gift cards we earned through Swagbucks and our out-of-pocket expense was $0. Each month, we put money into envelopes. You can read more about how that works here. Each month, Preston gets $10 in an envelope. 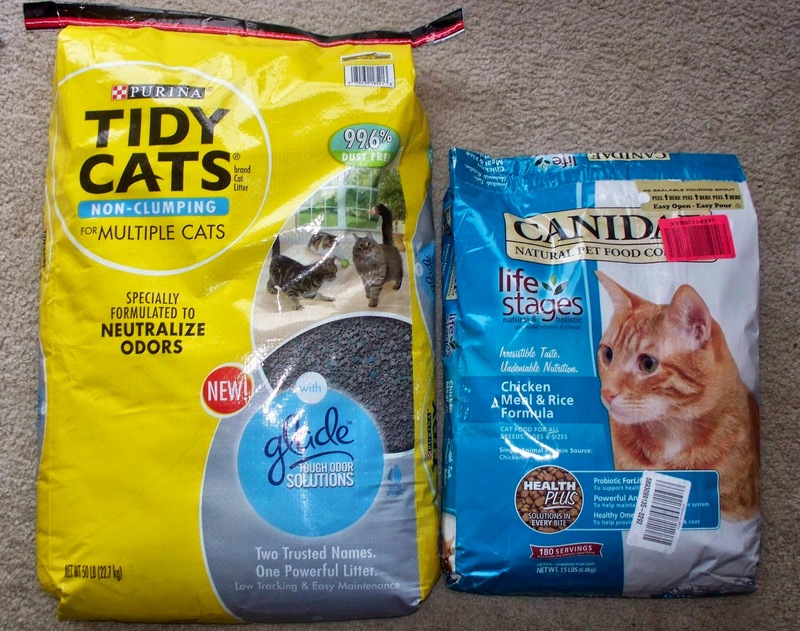 We used money from his envelope to buy a 50-pound of cat litter and a 15-pound bag of cat food. Amazon.com lowered the price of his food and we saved $10 there. Jason likes to take Bug out for lunch about once per week (he uses his blow money for this). One week, he took her to McDonald's. An employee there that she was so cute and well behaved that she gave her a cookie for free. We were given a gift of money for our anniversary; we used this to go out to dinner one night as a family. I was given several gifts of money for my birthday; we put the gifts in our grocery envelope, gas envelope and clothing envelope. My boss was very generous for my birthday; she gave me Cheez-Its and Skittles (two things I've been craving this pregnancy), a lottery ticket and a gift card for cupcakes. I attended my first-ever Mom 2 Mom sale and found the exact brand of co-sleeper I had on my list for my future babies. Normally, they run for at least $100 and the used ones I've seen start at $70. I bought mine for $20! It was quite a steal and I was (and still am) pretty excited. I also purchased some sleepers for the new little and a dress for Bug. For our anniversary, Jason and I went out to dinner solo. We drank water, shared a large basket of breadsticks and shared a huge salad. Our dinner bill was $20 including tip. We went out for dessert after and spent $10 (and brought leftovers from dinner home and a dessert home). Our budget for the night was $35. We put the remaining $5 in our grocery envelope. 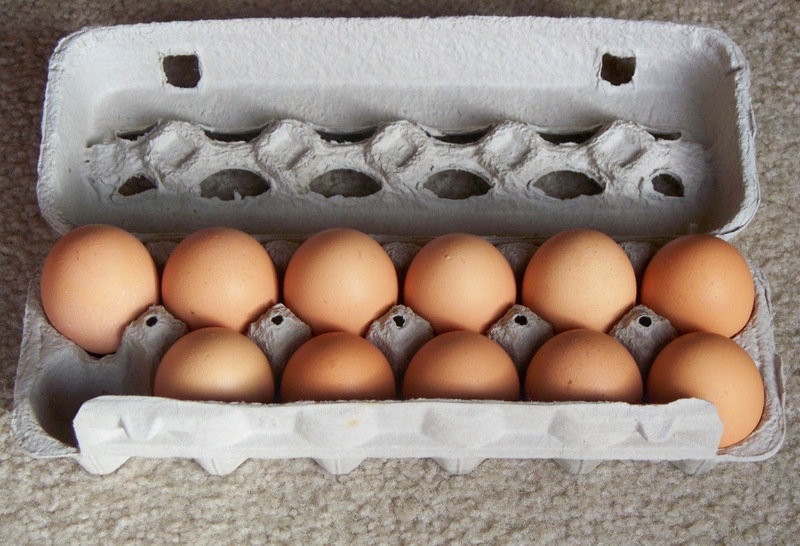 Nana gave us 11 eggs and a big jar of pickled beets. Jason cat sat for our friends. The money he earned went into our baby fund and went toward a lunch out as a family. I gave my mom a massage, and she was very generous in payment. This money went into our grocery envelope. For some insane reason, we had never joined the Disney Movie Club, despite the fact we buy one new Disney movie per month. It's free to join, so we finally did. After entering all the codes we had, we had enough points to get Toy Story 3 for free, shipped to our home. If you haven't joined yet, you should definitely check it out. We're saving up our points now to get a Muppet movie next time. My mom and dad had some children's movies they didn't want. 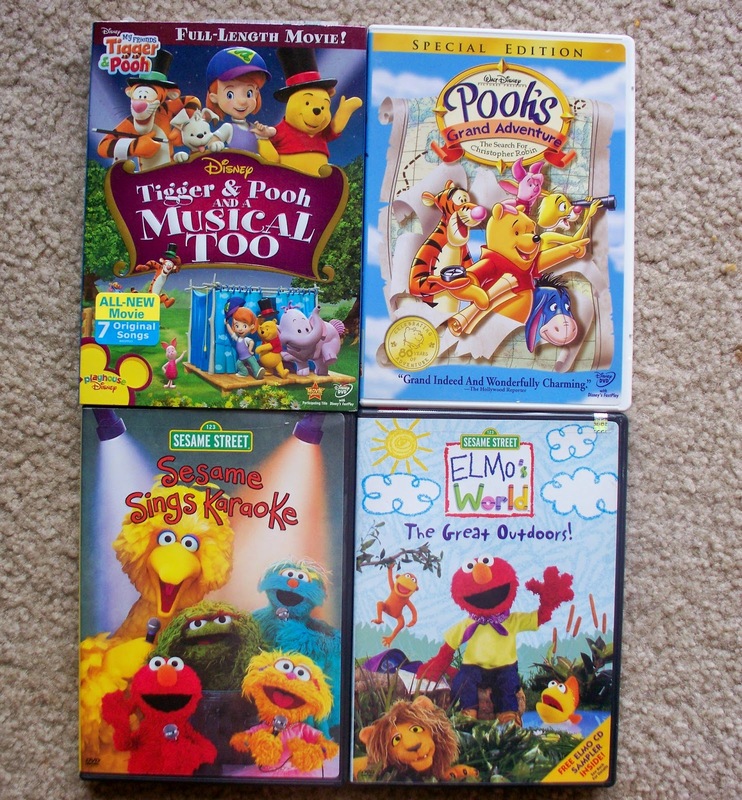 We chose two Sesame Street and two Winnie the Pooh DVDs. I always check out zulily's new events and one day, there was a Plum Organics event. I figured out the math, then quickly ordered 108 pouches. Normally, I pay at least $1.22 per pouch, but including shipping, each pouch was 56 cents. I love to have these for on-the-go snacks and meals for Bug.